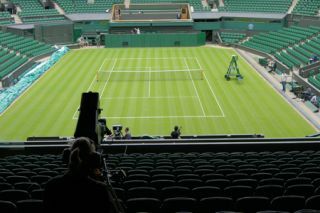 BBC's digital plans for Wimbledon include 10 live streams and on-demand for mobile | What Hi-Fi? The BBC has unveiled ambitious plans for this year's Wimbledon coverage, which starts on Monday, June 24th, leading to the finals on the weekend of July 6-7th. For the first time, BBC Sport will broadcast up to ten live streams and on-demand content available for viewing on PCs, tablets, smartphones and connected TVs. Since last year's tournament, BBC Sport has re-launched a new, improved mobile website and delivered a new app for iPhone and Android devices. The BBC Sport video player will provide action from up to ten streams, highlights packages and clips from BBC Sport's expert team of pundits. Video will be streamed in high definition where possible, depending on your device and internet connection. Mobile content will mirror much of the dektop experience, and will automatically adapt to fit the screen of your mobile device. Users can access the BBC Sport mobile website through m.bbc.co.uk/sport from their mobile internet browser, or download the dedicated app from the Apple App Store or Google Play. Owners of internet connected TVs will be able to follow Wimbledon either through the BBC Sport app, with up to ten live streams, or catch-up on highlights from the BBC iPlayer. Up to three streams will be available through the Red Button service on cable and satellite (Freesat, Sky and Virgin Media) and digital terrestrial TV (Freeview, BT Vision and YouView). Sue Barker will lead the Wimbledon coverage, which will be broadcast on BBC One, BBC One HD, BBC Two and BBC Two HD.